Use the ESPlorer IDE to develop (or edit) your Lua scripts on the ESP8266 WIFI module. The program is written in Java and should run on most platform (Windows/OSX/Linux). Use the LCDAssistant program to convert bitmaps to a format which is compatible with the Piccolino. The program requires that the width of the image is a multiple of 16 bytes (or it will not encode the bitmap correctly). Only 1 bit bitmaps (black & white) are supported. NodeMCU flasher is a firmware programmer which you can use it to program NodeMCU distribution firmwares on Piccolino’s ESP8266 WIFI board. You MUST set GPIO0 to LOW before programming. Currently only for Windows, the developers are working on next version and will use QT framework and will be cross platform and open source. 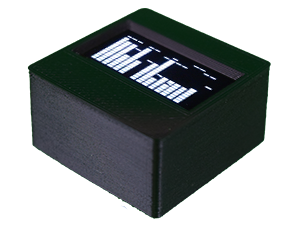 The MIDITONES application converts a standard MIDI file into a much simplified stream of commands, so that a version of the music can be played on the Piccolino micro controller. This tool was used to convert the midi files used in the Piccolino playtune demo. This archive contains the distribution version of nodeMCU v0.9.5 including the original Piccolino distribution Lua scripts. Sets Piccolino’s ports so that you can program LUA scripts and/or flash the ESP8266 WIFI module (don’t forget to push the comms switch to ESP8266 mode!). Simple OLED audio spectrum analyzer (bar graph display) demo using A0 as input and FHT filtering or random data. The WAV player uses the TMRpcm library (available in our repository on Github) to play WAV music and sounds effects directly from SD card.